Sorry there is no real blog entry tonight, I have spent the past several hours messing around on the Adapted Learning beta site. Everyone is really in for a treat when it goes live in a few days! Sign up now! Today we instituted a new classroom rule: No Faking! We had a class meeting and discussed what faking is, including pretending to sleep, saying you have to go to the bathroom when you really just want to leave the room for a break, acting like you are crying to get your own way. Over the course of the day it became both a mantra and a joke. One young lady found it very amusing when she repeatedly requested the restroom minutes after she returned and instead of telling her that she just went we held up our "No Faking!" sign and said, "Ut-oh, a faker!" Another was not so amused when she pitched a fit because she didn't want to do her work and she was handed the "No Faking!" sign while we ignored the behavior (90 seconds later she was asking for more work, tantrums are pointless without an audience). During afternoon discussion we talked about our day off on Tuesday for the election and one of the paraprofessionals shared that she had received an e-mail claiming all kinds of lies about one of the candidates. We decided that the world would be much nicer if everyone, especially politicians, lived by our, "No Faking!" rule. Tomorrow's new rule? Save the drama for your Mama. Do you value what you read here? Help us out. Do you come to this blog when you have questions? Help us out. Ever had an aha moment, found something to use in your setting or smiled while visiting here? Help us out. Please, please, please help us out! Both the hearing impair grant and the AAC grant are desperately needed by my students. If this blog is supposedly worth $14,000 because of the quality of information it provides, then I am hoping $1200 can be raised to fill these grants. That's just twelve people giving $100, 24 people giving $50, 48 people giving $25. With 300-700 visitors a day, this CAN happen, but don't assume someone else will make it happen. Please click on the link and help us get our grant. I have several other grants online as well, but they have no or very little funding yet and I would prefer push these ones through because they have partial funding that will be lost if the grant isn't fully funded by the expiration date. One grant proposal for switches just died partially funded. Very sad. By the way, would threats work? What if I threatened NO NEW POSTS until the grants are FUNDED! Nah, not my style. How about this, a contest! I will electronically deliver a set of Boardmaker Boards of your choosing (either in .BM2 or PDF format) to anyone who comments on this entry, preferably commenting to say they donated to a grant above. You can choose from AAC boards or books, dynamic display communication board sets, curriculum materials, behavior materials, anything I have. One winner will be chosen at random in 26 days. You know what drives me crazy? And what probably drives my students even more crazy? When device companies/device programmers mix symbol sets. Today one of my students needed to apologize to someone for something. Her communication partner was able to help her navigate to the page on her device where the "I'm sorry" message is, but the student would not activate it. Why? Because it was the Dynasym for "sorry" (which she is not familiar with) not the Mayer-Johnson PCS for "sorry" (which she has used her entire life). I changed the symbol, she apologized and moved on, but the moment stayed with me all day. The Gateway 5 board set for Dynavox and the InterAACt board set for Dynavox has pre-programmed boards that mix Dynasyms and PCS. Why? Why would you do that to a kid who has spent a life time learning a certain set of symbols? Sure some kids/adults can generalize, but many others can't. So why set them up like that? Why would you create boards that were likely to make them fail? Why not offer Gateway 5 and InterAACt with either all Dynasyms or all PCS and let the individual and his or her team choose which one to put on the device? Its not like there isn't a PCS for the words they use a Dynasym on vs. a PCS. One company owns both symbol sets, so it isn't copyright issues. I just don't get it. In the United States (and many, many other countries) the most universal symbol set is PCS by Mayer-Johnson, if its not broke, don't fix it. How would you like it if suddenly one tenth to half of the words you went to read where in Greek or Korean? 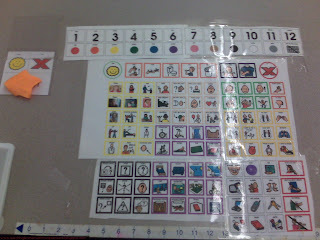 Many of us use token boards with our students to increase all sorts of behaviors from time on task to safety to AAC use and toilet training. Here are two token boards that support those last two items, AAC use and toilet training. 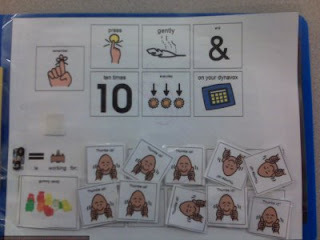 The first board (front and back above) allows a student to choose from six rewards that the student shows a preference for and then gives praise and a "two thumbs up" symbol for each appropriate AAC activations. After ten symbols are collected the student receives the reward. The second board (below) is for a student who has low vision and uses 3.5" white on black pictograms. 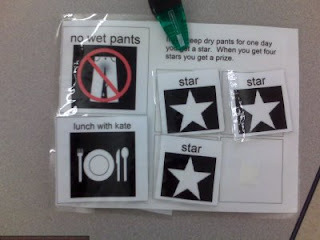 The student is working on toilet training and chooses from five rewards, for each day the student is dry all day praise and a "star" are earned. Four stars earns the choosen rewards. The design of the boards is based on the standard "____ is working for ____." The rewards are decided using either a preference assessment or data on prefered activities/items. 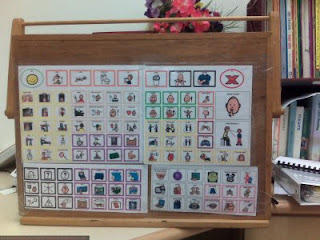 The physical boards are designed using language and symbols the student understands. The student is allowed to chose their reward each time the board starts again and most importantly each earned token is paired with lots of social praise. As the student's skill increases awarding of tokens becomes intermittent or more tokens are required before the reward is earned, until finally the token board is faded out entirely. Kevin over at NCS-Tech shared today that the OCZ Company is offering this Neural Impulse Actuator (NIA) for about one hundred dollars. Designed for gamers, what I am called a "Brain Switch", this nifty device transfers activity from the muscles, brain and eyes created by minuscule movements and changing levels of neural activity basically into three different switch clicks. As we all know, it only takes one switch to interact and communicate and three switches to drive a power chair. If users can learn how to control just one of the switches in the NIA whole new worlds could open for them. If they learn how to use all three - the can drive a power chair. The software that comes with the NIA allows you to choose what action each of the three switches will complete - a click, an enter, a tab, etc. Any keystroke, mouse or joystick movement you need. What needs to be mentioned is that even typical users can find the learning curve to be "steep". Some complain of 30+ minutes at a time to master using the NIA each time they try it, by which they mean mastering each of the three switches, all at the same time, with enough nuance to play a relatively tough game. Like anything else our students will vary, we may need to spend a lot of time teaching students how to activate just one of the switches on the NIA. Basically this is Brainfingers for gamers (only Brainfingers is $2,100), in fact the software is built on Brainfingers software, but at about one hundred dollars why not play with it and make it NIA for people with disabilities? Stellar Survey is a free (upgrades cost a fee) online survey, recommended on another education blog for course evaluations. There is another great application for special education and that is data collection. A survey could be designed for your entire class (all student data entered into the same survey, the student name is collected at the top) or you could have individual surveys for each student that correspond to a behavior plan or IEP. Teachers or paraprofessionals can enter data daily (or weekly) and the survey software will create charts and graphs of the data. Responses and results can be viewed, printed and/or downloaded for sharing or further analysis. The free plan includes 10 surveys having 10 questions with 50 respondents each. For $10 a month you can have 20 surveys having 20 questions with 500 respondents each per month. The free plan is plenty to collect weekly data on 10 students, upgrade to collect daily data. 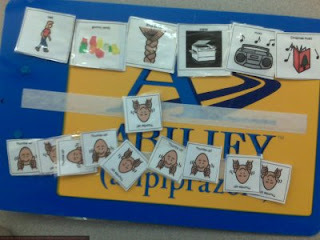 One of the things that is so important for our students is when using some kind of AAC system is automaticity. They need to know, whether they use two objects for choices, a multi-symbol aug comm board or a dynamic display device, where what they want to say is located. This is the same no matter what access system is used as well, eye gaze, pointing, scanning, etc. It is difficult for speaking people when they occasionally can't think of a word, so imagine how frustrating it must be for alternative communicators when they can't find a word or symbol, even more so when they know their communication partner has deliberately moved things around. Sometimes our students will always pick what is on the left, or the top, or pick without looking, but there are ways for us, as educators, to teach these skills without moving "their words" around. We can use positioning of a board to cut down on always choosing to the left or top by, for example, holding an eye gaze board with a choice of two symbols to the left of mid-line can make it so a leftwards tending gaze is more centered. As for a student who choosing with out looking? First we need to know if this is really a problem. I choose the keys on my keyboard without looking and the rate at which I communicate via typing would be much slower if I started looking or if someone changed around the keys on me. So before we insist a student look before they choose we need to be sure the students needs to look before they choose. If they do indeed need to look, or if they need to look some of the time, we need to use the prompt hierarchy to teach looking... with the end goal being not looking per say, but knowing where the core or constant words/symbols are located. We also need to think ahead as we work towards expanding our students communication abilities. For example there are three communication boards shown, all belong to the same student, one is on the student's wheelchair tray (that was the first one) another on the student's desk and the last one on a wooden board designed to be moved from room to room in the student's home. If you look closely you can see that with each board there are more symbols, but the lay out and use of the modified Fitzgerald key are the same. The core vocabulary remains the same on the boards and is definitely in the same location. The student's parents even present the home board in the same vertical position as the lap tray and desk at school. My goal is for this student to become more competent with this system and to continue expanding this system as her skills. Eventually the SLP and I hope, believe, that someday she will be ready for dynamic display. When she is I also expect her the basic lay out of her main board may be similar to these. In a conversation online about AAC adaptables (using off the shelf products adapted to become AAC products) someone mentioned this new site, Alexicom, which offers online access to AAC. A while ago, in the UK, a speech therapist set out to do the same thing with Enouncer. Both products seem to be in their early stages and Enoucer seems to have stalled, although I hope it bounces back. Web based AAC seems to be a logical step in our Web 2.0 world, but I worry about the limits, especially as two years in a row, in two different buildings, I have been without internet access. 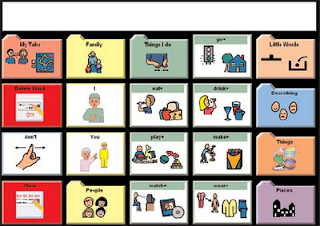 What would my students do if their AAC was web based? First and foremost I am making an assumption that you are taking data, but of course you are, right? If for no other reason than more of you must participate in some kind of alternative assessment procedure and need data to get through that. Today I spent some time looking at the options for free charting and graphing software. In the end I used Microsoft word (2007 as seen below). However I will pass on the set of links below for you to explore. Had I had more time I may well have used one of these free programs. For the record I use data charts from Therasimplicity to collect data. Next one of my students was having some, um, distress in the gastrointestinal area, this same student loves cars. When questioned if he needed to go to the restroom to help out his gastrointestinal issues he answered, "Car!" In one of my sillier moments I responded, "You want to poop in car?! Ewww! That is gross, just gross!" 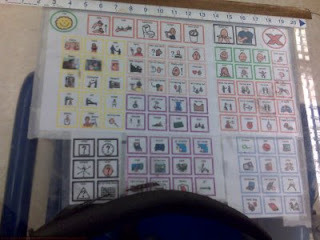 My student lost it, pointed to "yucky" on his lap tray communication board and then he laughed for ten minutes. All it took the rest of the day for him to start laughing again was for me to say, "Gross, just gross!" At lunch time one of my students who does not eat by mouth gets to choose if he goes to "look at girls" in the cafe or if he will stay in the classroom with me and play switch games or listen to music or books on tape. Today he chose to stay in the room and to use a switch to flip through the tracks on Windows Media Player (put the mouse over the next track button and set the switch interface to "click") he very much enjoyed changing the song anytime I smiled or sang along (especially if I sang along) and letting it play if I told him I hated it, however, to my surprise he listened to the entirity of the Martin Luther King Jr. "I Have a Dream" speech. Perhaps he just loves great oratory? I am considering downloading other great speeches. Later I informed one of my students that we have set up for a representative from Empowering Access to come see her with a Tellus AAC device she became so excited that she literally could not move, she stood in her walker"saying", " Por Me? Por Me? I love you! Por Me? Me? Oh! I love you!" It was too adorable. At the end of the day the same student as the last story needed was asked if she wanted to walk to the bus or ride in her stroller. She has limited articulation skills and for the most part knows her limits, she did not want to use her walker (although she could say it) and she did want to go in the stroller (although she cannot say it) so instead she said, "Blue". I thought that was particularly ingenius. Nothing is more blue than a Convaid special needs stroller. Did you know that according to Technocrati and Louis Tristan's research my blog is worth $14,678.04? I didn't. Logan's Prox Talker is an AAC device designed for students who efficiently use PECS (Picture Exchange Communication). The basic idea is that the device replaces a sentence strip at the bottom of a PECS book. The symbols in the PECS book have embedded RFID (radio frequency ID). The device automatically detects what symbol is placed on each of the five buttons, then those buttons are pressed (in sequence) to make a sentence. See the brouchure for more information. The device is not yet available for purchase, nor is there a listed price, however Jeanette VanHouten shares in the comments that the price listed at Closing the Gap was $3800 (which is more expensive than a Springboard Lite or the ChatPC Silk for comparison). It is supposed to available this fall (although fall is quickly turning to winter...). While I think the idea and the technology for the Logan's Prox Talker is cutting edge I do have some professional concerns. PECS is an extremely structured program which should only by done by those trained to implement it. The process of PECS is meant for a specific population of learners and involves multiple steps in teaching communication. PECS is broadly misunderstood and misused. Many people think that if they implement a program of picture symbols that are stored on velcro that it is PECS. Students are often found using PECS style boards and books without having been taught the picture discrimination or communicative intent included in PECS training. I have seen students using 1 inch square picture symbols in a PECS style set up when the student is too visually impaired to possibly see those symbols. I have seen students with PECS style books who never move on from the very early stages of PECS because those offering the book don't know what comes next. I have also seen students who "stim" so much on the tearing of velcro that a PECS style set up is just a set up for failure. It is hard to remember that AAC, including PECS, is not one size fits all, nor should those choosing the AAC system (PECS or otherwise) fall victim to flavor of the month syndrome. I worry that the Logan's Prox Talker is just another way that PECS can be misunderstood and misimplemented. 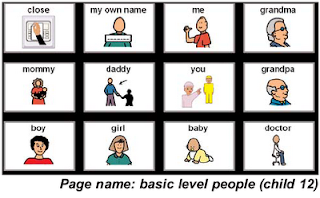 If users of the Logan's Prox Talker can choose symbols well enough to warrant considering the Prox Talker device perhaps it is time to consider teaching the skills of using a more traditional AAC device where individual symbols play an entire sentence, beyond this the higher level of PECS has students make sentences with their symbols (which the Prox Talker is obviously created for), if students are doing this then a traditional AAC device where students create sentences with symbols is likely indicated. 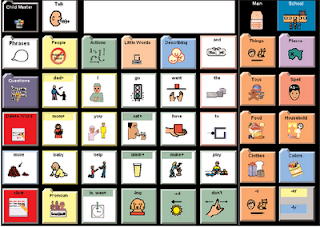 A traditional AAC device is much more likely to allow the students to say anything they wish, rather than be limited to the symbols that they are carrying with them (because although the Prox Talker has 10,000 words in its data base and the ability to add more it can only play the words that the students has on him in at any given time). I would feel much more comfortable talking about the Logan's Prox Talker is Pyramid Education (the company that own the PECS system) were to add its use to their training manual and to give their seal of approval. The Tellus series of AAC devices has had a few updates. Among them an 80G hard drive (imagine the videos and music you could have on there for students) and updated processor on the Tellus 3+ and newly designed scanning board set for switch users (the Tellus uses Mind Express Software). The Tellus Mobi has also expanded its color possibilities with the options of green and pink in addition to the grey and blue it has been offering for sometime. One thing that I find exciting are the ability to use Pictos symbols (in addition to Widgit, PCS, Beta Symbols, Bliss and Picture This). I have found that Pictos symbols are great for students with low vision. Also, there is no need to figure out how to get rid of visual scene displays if your user is unable to use them well. In the UK the Tellus is available from Techcess, in the USA it is carried by the vendors on this list. Mayer-Johnson, the makers of Boardmaker, Boardmaker Plus and Boardmaker Speaking Dynamically Pro have announced a new user sharing website to open in 30 days, although you can register now (for free) and get announcements about its development. You can also take a Flash video tour of the site (although I cannot get the tour to load). Mayer-Johnson has been preparing for this site for some time, interviewing the founder and moderator of the Yahoo Boardmaker Group and designing the website since early June. The sharing section of the current Mayer-Johnson website is extremely under utilized and it is hoped that this new site will attract more users and an active community like those at the Intellitools Activity Exchange and Crick's Learning Grids. limit advertising, but make sure to announce new products, associations with vendors, etc. and while doing all of this make sure the site is fast! The most exciting thing about this to me is the possibility of having uploaded boards stay online and available for download indefinately. Can You Hear Me Now? Products to increase the understanding of learners with hearing impairment and to teach sign language. This grant is half funded and will soon expire, meaning the money donated to it will be given to other projects. Chat, Gossip, Discuss! This is a grant for low to moderate technology AAC devices. It is 1/10 funded and also soon to expire. If you or anyone you know would be interested in funding either of these grants click on the links above. P.S. We also have several completely unfunded projects about to expire, but I would rather focus on getting these two partially funded grant through. People sometimes wonder why teachers are known hoarders. This year my classroom population changed pretty significantly and I found myself digging out materials I made during my student teaching, graduate school and first year of teaching (which feel like a long time ago, but were really in 1997-1999) when I worked with students of similar abilities. Having changed employers twice and buildings six times since then it is pretty shocking how many items I have that still say "room 8" (my first classroom). The big yellow Judy clock isn't a surprise for surviving, but the hand drawn math tic tac toe game my current students have been playing practically every day (somehow it has become a favorite in the past six weeks) is a little amazing! (I will post a picture tomorrow.) What if I didn't save everything? I would have to start over. 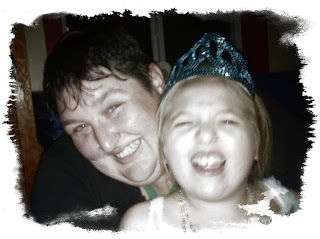 So there is a little post about recycling materials and a few recycled memories. 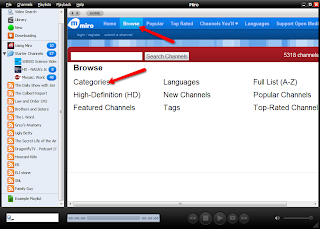 Miro is a free, open source video player. It allows you to download and view videos from the web as well as any videos you may have from other sources, like your camera. This is the perfect way to show educational video clips in the classroom in the age of the impervious firewall (of course I'd settle for just having internet at school). First you must go to the Miro website and download and install the software. It is Windows, Mac and Linux (Ubuntu and other OS) compatible. Then you get to explore some of the basic and advanced features of Miro. To start with choose "Browse" from the blue tool bar and then categories. The go through "kids" or "educational" and find channels that may be interesting for your class. 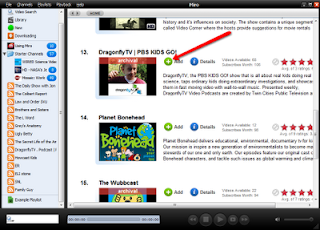 Then select the video podcast you wish to download by clicking on the green plus sign. Dragonfly TV is one I have used in my classroom. 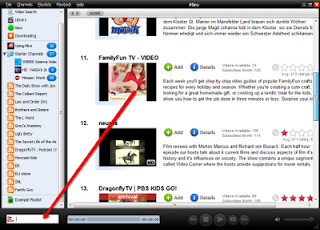 Another feature is to use the search bar to look for particular online videos to download. You can choose from several different video search engines. I searched for "Singing Time" and found a number of DVD previews from the series to download. By clicking on the down arrow I begin the download. Once they are downloaded I can use the "Playlist" feature on the black tool bar to make a playlist which can be easily navigated using JoytoKey and a gamepad, switch or joystick set to the keyboard shortcut. Imagine how much more fun it will be for students to switch through a playlist of video clips than it is to switch through a playlist of songs while looking at the visualizer. You can download clips of sporting events, car races, concerts, whatever floats your student's boat and make their day during leisure or free choice time. Here is a website that offers educational activities for download based on the Shockwave format (meaning they run in your web browser, even if you are not online). These are some great, simple activities that reinforce concepts and are compatible with touchscreens and other mouse alternatives. For my learners some of the "Infants" (that just means primary school) and post-16 English as a Second or Other Language activities will be great. Attainment has announced a new hand held sized moderate technology AAC device, the Go Talk Pocket. Like its larger Go Talk family members it is a static display device with five levels and it stores the overlays in the back of the device. It runs on 3 AAA batteries and weighs 7 oz. The cost will be about $200.00 and it should be available by the end of the year (but you can order now). I hope they are as sturdy as the larger ones (one flew across my classroom and landed hard on Friday and was fine) and I hope a few arrive in my classroom for the holidays! I bought a roll up piano toy on e-Bay over the summer. When school started in the fall the student I had in mind when I bought it was no longer in my class, luckily one of my new students loves it as much as he would have and another student has started to take an interest in it as well. Everyone's favorite part is the "demo" feature which plays a variety of well known tunes. Our piano is made of silicon, but I would imagine some contain latex, you might want to ask before you purchase if that is an issue. Switch It offers a number of options for controlling a power wheelchair, some of them unique, like their Switch It Lap Tray which has built in proximity switches which allows users to control a power chair with gross motor upper body movements. What caught my eye was the Switch It Mouse Driver which turns your choice of power chair controller into a computer mouse. I assume that this also works with any open AAC system (any AAC system that allows access to the computer operating system underneath such as Windows XP). Years ago I had a student who had a (no longer on the market) AAC system which we ordered with a similar power chair joystick to AAC mouse. Unfortunately it never functioned because the AAC company said the maker of the converter needed to support it and the maker of the converter said the AAC company needed to support it. I recommend that SLPs/teachers check on this before ordering. Labels: AAC, mouse driver. joy stick controller, Switch It, wheelchair . Today Barrie over at One Switch sent me a great link for some free software that acts as a visualizer for voice, vocalization and any sound input to the computer OR it acts as a way to manipulate recorded sound being played on the computer. It is called Lumisonic and is available from Sonic Arts. 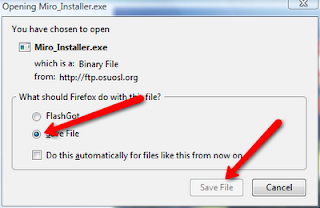 You can download it in PC or Mac version, with or without the other software you need (C++ and Quicktime). It can also be used with a Wi in order to manipulate music or sound through movement. A link is included with ideas to use the software as a visualizer and as an instrument. The newest upload to Boardmaker is available online at the Mayer-Johnson site (or if you use Windows go to Start -> All Programs -> Mayer-Johnson -> Check for Updates on your desktop). This update has one very cool feature, it let's buttons on boards connect to websites online. Check out Yuichi's Blog to see how. I love your product, but what were you thinking making a whole paper about popcorn? It is on every published list of choking hazard foods I have ever seen. For example from Consumer Reports, Seattle Public Health, Texas Center for Childhood Injury Prevention, University of Michigan and the list goes on and on. Perhaps when you are choosing your topics you could stay away from things that are commonly known to be contraindicated when working with learned with intensive or multiple disabilities (which I assume are a core part of your demographic). Since my student teaching I have been meta-cognizant of the fact that any major change in the classroom takes six weeks until everyone adjusts. We are entering the sixth week of school here and at the end of last week I started to feel like things were leveling out. Maybe your school has been in session since mid-August or maybe you didn't start until well after Labor Day, but I hope you all have a successful week. Below are the website statistics for this blog during September. They are based on a cookie (a little piece of code stored on your web browser - which isn't always the most reliable way to count visitors because often people erase cookies meaning returning visitors come up as new visitors). I can't believe that 9,662 people read this site in September. Whoa! My favorite search term from the last 24 hours? "Developmental delay chewing shirt saver". Can't you just picture the poor mom (or dad) who is just totally exhausted with pulling the shirt out of her son's (or daughter's) mouth? Time for a Chewy Tube, or an Ark Grabber, or Chewlery, or at the very least a bandanna around the neck to chew on. I traditionally spend Sunday evening moving all of the Boardmaker, Classroom Suite and Clicker 5 things I will use during the week onto my travel disk drive so that I can import them into my classroom computers (one set up for switch users and two for touchscreen or head tracker users). This means that whenever I can I download any activities I find online and save them to use when they fit into my curriculum. Today (while updating the Free Boardmaker Boards and Activities Permanent Post) I discovered some great new activities at My Dynamic Therapy. Be sure to check them out. Also be sure you are getting the monthly downloads from Mayer-Johnson and the boards everyone posts at the Yahoo Boardmaker Group. Tonight, after a meeting, I was to deliver an AAC system and a very large rolling mount system to a student's home and show his mom how to set up the device, the Headmouse Extreme, and the rolling mount. Unfortunately I discovered that the rolling mount did not fit comfortably in my already full PT Cruiser and I had no tools to disassemble it. I tried the backseat, no dice. Then I tried the front seat, it pushed too far into the driver's seat. So I tried the front seat with the rolling mount upside down and I managed to crack my own windsheild. How exactly am I going to explain that to my insurance company? P.S. So for the lack of posts this week, my internet has been down at home and I do not currently have internet at my school.